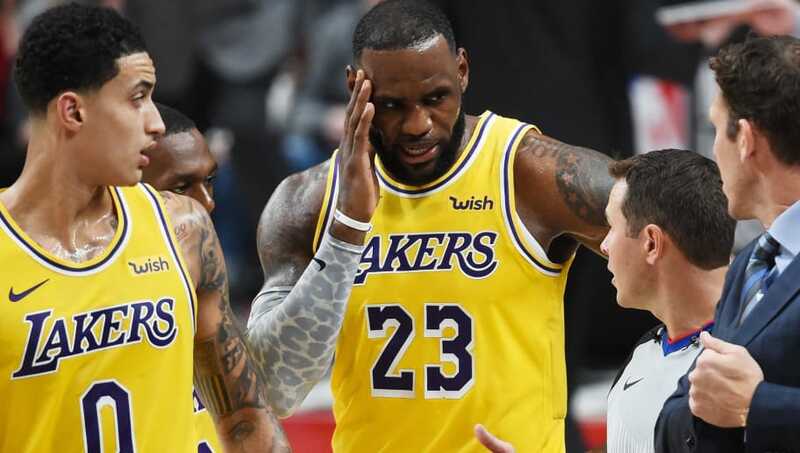 The world finally got its first look at LeBron James and the new-look ​Los Angeles Lakers Thursday night when they took on the Portland Trail Blazers in their season opener. James was on point as usual, scoring 26 points with 12 rebounds an six assists over 37 minutes played, however, LA took a loss to open up the year, 128-119. Great analogy there, Bron. Indeed, chemistry is more comparable to a fine meatloaf. It takes time, work, and hours of frustration. The man is right, though. Fans would be foolish to think that the Lake Show would come charging out of the gates operating like a well-oiled machine. The King is working with a very young group of players who haven’t even found chemistry amongst themselves, let alone with the 33-year old who just joined the squad. Despite that, Los Angeles still managed to score 119 points in their first full regular season game together. Such is the benefit of having an NBA legend on your roster. The Lakers won’t be a superteam tomorrow, but once they get a couple more pieces and have some time to mesh together, they’ll be a force to be reckoned with. One day, it will be oatmeal time.